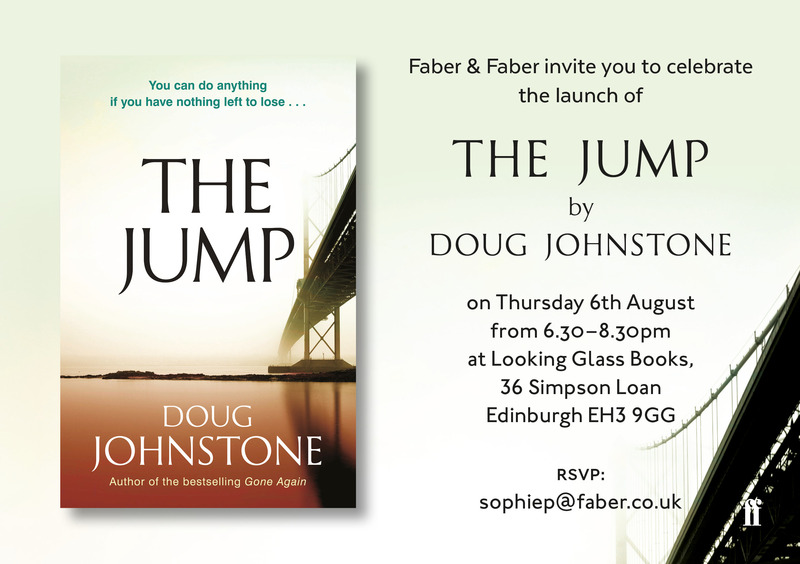 THE JUMP is out today! THE JUMP is out today! Come and help me celebrate at Looking Glass Books tonight. Chat, reading, music, booze – the stuff of life! This entry was posted in Uncategorized and tagged doug johnstone, faber, looking glass books, the jump. Bookmark the permalink.